Results 1 - 6 of 6 for "Chichén Itzá"
Caption: JM01901, Great Ball Court, East Side, Center, Left 1., Dimensions unavailable. Category: Maya, Terminal Classic Period. Keywords: Limestone, Ball players, feathers, hacha, palmas, backrack, knee protector, blood scrolls, long-nosed serpent, sacrifice, decapitation, nose bars, belts, skirts, "Toltec" sandals. Credit: Copyright © 2000 John Montgomery. Caption: JM01902, Great Ball Court, East Side, Center, Left 2., Dimensions unavailable. Keywords: Limestone, Ball players, feathers, hacha, palmas, backrack, knee protector, arm protector, blood scrolls, long-nosed serpent, sacrifice, decapitation, nose bars, Jester God, belts, skirts, "Toltec" sandals. Caption: JM01903, Great Ball Court, East Side, Center, Left 3., Dimensions unavailable. Keywords: Limestone, Ball players, ball, skull, serpent-blood, vegetation, feathers, hacha, palmas, backrack, knee protector, arm protector, blood scrolls, long-nosed serpent, sacrifice, decapitation, nose bars, Jester God, belts, skirts, "Toltec" sandals. Caption: JM01904, Great Ball Court, East Side, Center, Left 4., Dimensions unavailable. Keywords: Limestone, Ball players, serpent-blood, feathers, hacha, palmas, backrack, knee protector, arm protector, blood scrolls, long-nosed serpent, sacrifice, decapitation, nose bars, Jester God, belts, skirts, "Toltec" sandals. Caption: JM01905, Great Ball Court, East Side, Center, Left 5., Dimensions unavailable. Keywords: Limestone, Ball players, zoomorphic headdress, rear bustle, earflare, serpent-blood, feathers, hacha, palmas, backrack, knee protector, crossed bands, arm protector, blood scrolls, long-nosed serpent, sacrifice, decapitation, nose bars, Jester God, belts, skirts, "Toltec" sandals. 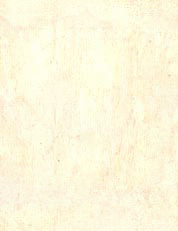 Caption: JM03453, Name Glyphs, K'ak'upakal., Dimensions unavailable.